Did we mention we're part of a global network? We believe a better world is created through the combined efforts of compassionate, creative, and committed individuals focused on a common purpose. 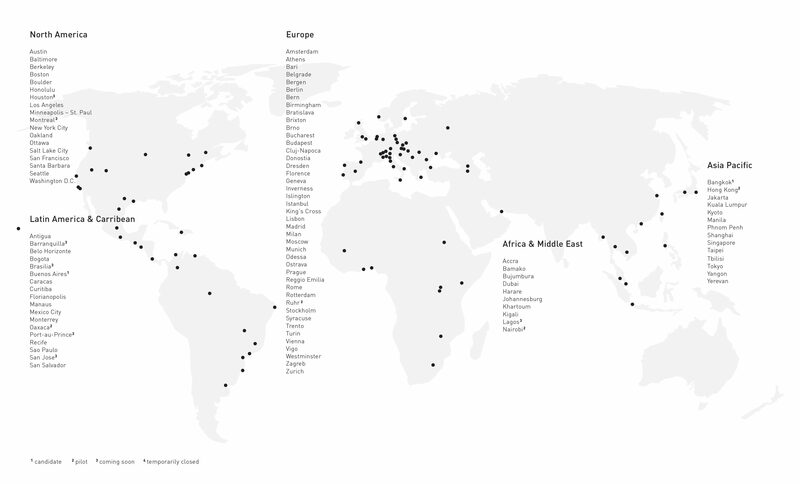 The Impact Hub network is a global force for the new economy. What started in 2005 as a gathering place for impact pioneers in London has grown to a community of more than 16,000 professional members in 100+ cities worldwide including Seattle, Oakland, Amsterdam, Madrid, and Johannesburg. This growing community utilizes the power of entrepreneurship, collaboration and networks to generate and advance innovative approaches to social and environmental challenges locally and globally. Step into any one of our Impact Hubs worldwide and immerse yourself in the local experience of a global movement. Want to learn more? You can find more information about our global network here!